Taille de cet aperçu PNG de ce fichier SVG : 800 × 480 pixels. Autres résolutions : 320 × 192 pixels | 1 024 × 614 pixels | 1 280 × 768 pixels | 1 000 × 600 pixels. 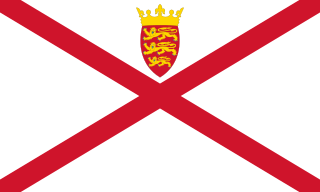 The flag of Jersey. It is from the xrmap flag collection, specifically "uk_jersey.svg" in flags-2.6-src.tar.bz2. The README file in that collection says of the SVG flags "We release them in the public domain".